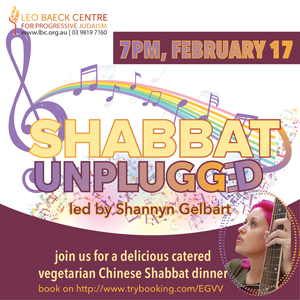 Welcome in the day of rest with our musical Shabbat service, led by Shannyn Gelbart. This will be followed by a tasty catered vegetarian “Chinese” Shabbat dinner. Bookings essential for dinner.